This April, your Celebration experience will make the jump to LIGHTSPEED. 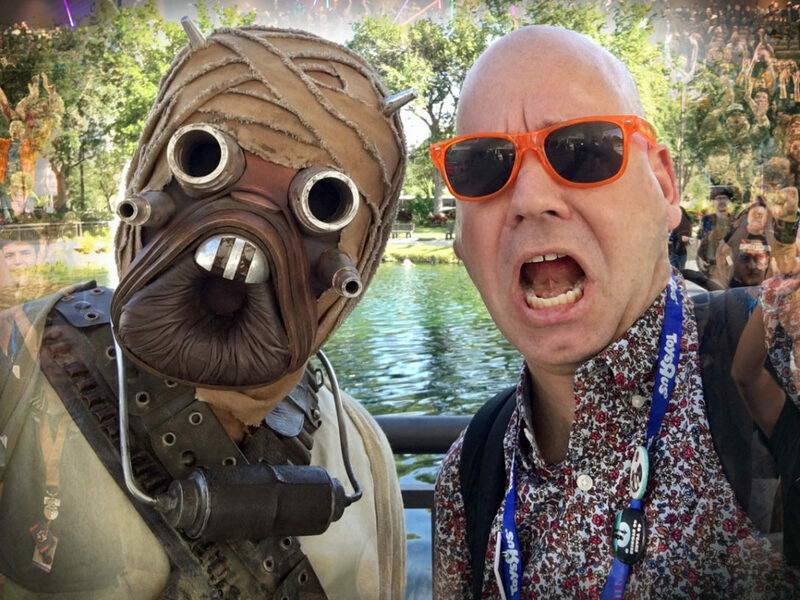 Star Wars Celebration Chicago is modernizing the way fans experience the world’s biggest Star Wars party. StarWars.com is excited to announce LIGHTSPEED Virtual Panel Reservations and LIGHTSPEED Lane Virtual Queuing presented by ThinkGeek: new systems that will make access to Celebration Chicago’s biggest panels, show store, and exhibitor exclusives easier than ever before. Here are the full details from Lucasfilm and ReedPOP. Fans will be able to use LIGHTSPEED Virtual Panel Reservations to reserve admission for themselves and any additional tickets they purchased on their original order for panels all weekend long at Star Wars Celebration Chicago. 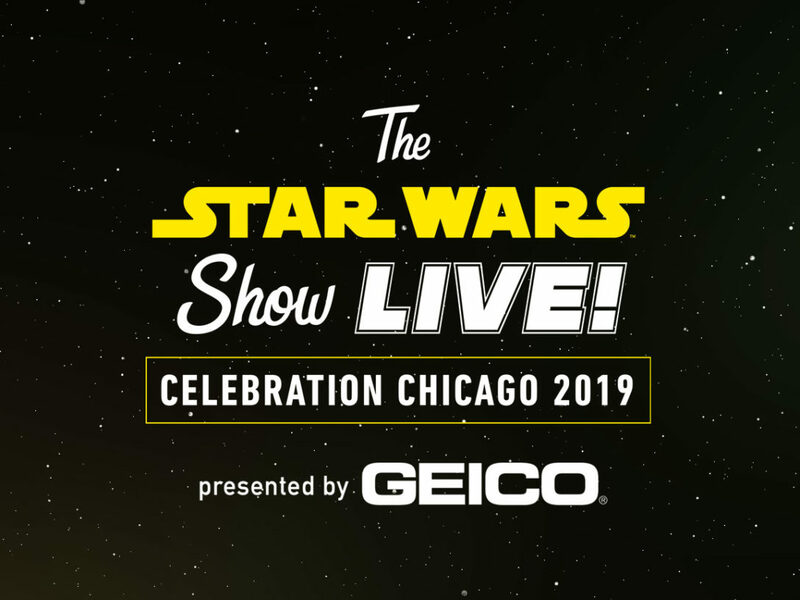 This new panel reservation process will include an advance lottery for all morning panels on the Celebration Stage at the Wintrust Arena as well as the Galaxy and Twin Suns stages which will be streaming the morning panels live from the Celebration Stage. Fans will also have the ability to make advance panel reservations for panels on the Galaxy and Twin Suns Stages. This will provide the opportunity for more fans to enjoy some of our most exciting panels which would have previously required overnight camping and wristbands. LIGHTSPEED Virtual Panel Reservations provide peace of mind and eliminate the need for fans to camp out overnight. Fans who win a lottery for admission to the first panels each morning on the Celebration Stage will know what seating section they are assigned to in advance of the show so there is no need to queue up early. For the safety and comfort of all fans, overnight queuing is not permitted at Star Wars Celebration Chicago or the Celebration Stage at the Wintrust Arena. We understand that some attendees enjoy the community aspect of staying overnight with their fellow fans, and there will be plenty of evening events to keep the Celebration party going including the Multi-Fan Club Bash, Second City’s Rogue Pun: A Star Wars Show, evening movie screenings and much more. A partial allocation of seating capacity for other panels at the Galaxy and Twin Suns Stages will be available for fans to reserve admission in advance without a lottery. Panel reservations are available for select panels only and are offered on a first-come, first-served basis, subject to availability. In addition to being able to possibly win a panel lottery for the morning panels on the Celebration Stage each day, fans are also able to make one advance LIGHTSPEED Virtual Panel Reservation per stage per day for panels on the Galaxy and Twin Suns stages. This does not include the live streaming of the morning panels from the Celebration Stage on the Galaxy and Twin Suns Stages as those will require a panel lottery win. All panels taking place on the Podcast Stage, University Stage, Collectors Stage, Fan Stage and The Star Wars Show Live! Stage are open to all fans and do not require a lottery win or advance panel reservations. For all morning panels on the Celebration Stage at the Wintrust Arena fans should plan to begin arriving at the scheduled arrival times provided to the panel lottery winners. Winners will receive specific instructions and arrival times for all panel lotteries that they win. Early arrivals will not be accommodated. There will be no stand by line for the first panels of the day on the Celebration Stage as we anticipate that they will be at full capacity well in advance of the show. Panel reservations are not necessary for panels on the Celebration stage after each morning panel concludes. The Celebration Stage at the Wintrust Arena will not be cleared between panels. Fans are free to stay in their seats all day or move to new seats as other fans depart after the first panel of the day has ended. After the morning panels, fans will be able to enter the Celebration stage as they wish, at any time, to watch any subsequent panels so long as the stage has not reached capacity. As in years past at Celebration, there will be opportunities for fans to walk up and enter a panel without an advance panel reservation by waiting in queues located at each stage in the West Building. Fans will also have the ability to make LIGHTSPEED Virtual Panel Reservations on the mobile app (coming soon!) and onsite kiosks the day of the show for any remaining reservations that are available on the Galaxy and Twin Suns Stages until 15 minutes prior to the panel start time. We recommend arriving at least 35 minutes early and we ask that all fans with advance panel reservations be scanned into the room at least 15 minutes prior to the advertised panel start time or risk forfeiting their panel reservation. 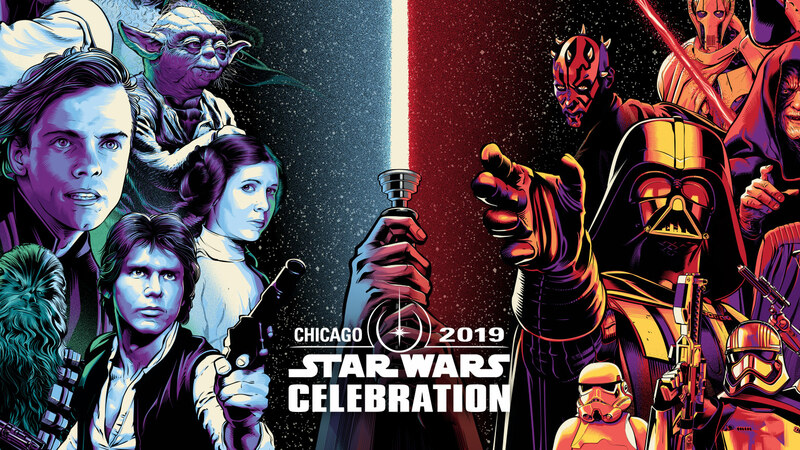 There will be an advance panel lottery for all morning panels on the Celebration Stage at the Wintrust Arena and the streaming of the morning panels to the Galaxy and Twin Suns Stages. This gives more fans the opportunity to secure a seat at our highest demand panels. Fans will have the ability to enter lotteries for multiple panels at the same time. If a panel lottery is won, the winning fan would be given an entitlement to reserve their admission into that specific panel on the Star Wars Celebration mobile app or Celebration website. Any remaining unclaimed admissions after the lottery period ends will be opened for non-lottery advance panel reservations on the mobile app (coming soon! ), Celebration website and onsite kiosks for fans that did not previously win a panel lottery. Jedi Master VIP’s are not able to enter any panel lotteries as they already have reserved seats for all panels on the Celebration Stage at the Wintrust Arena. 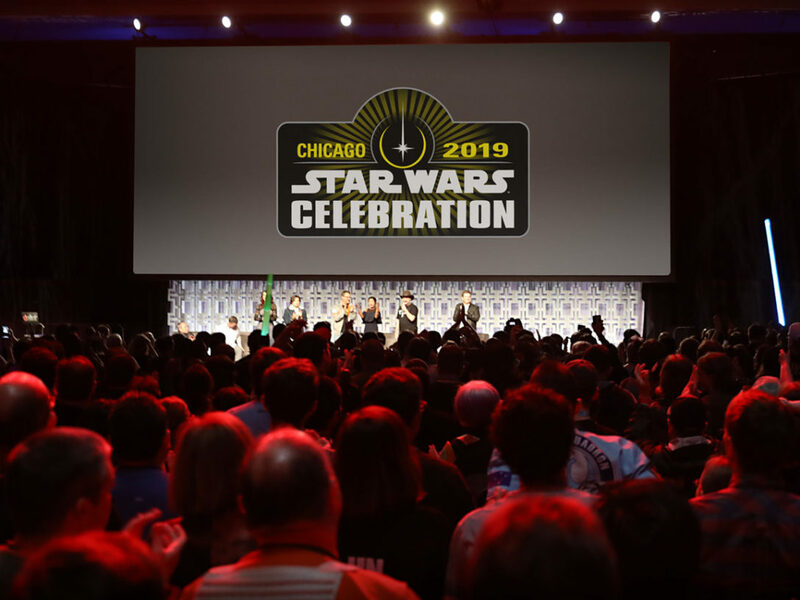 The highest demand panels at Star Wars Celebration Chicago will be the first panel of each day on the Celebration Stage at the Wintrust Arena. If a fan wins a panel lottery they will be able to secure admission for themselves and for any additional badges they purchased in their original order. Lotteries for all morning panels on the Celebration Stage and the streaming of those panels to the Galaxy and Twin Suns Stages will open on Thursday, March 28, and close on Wednesday, April 3. Fans must enter the lottery before midnight central time on Wednesday, April 3. The time in which you enter a lottery has no impact on your chance of winning a lottery. All Panel Lottery winners must claim their reservation before midnight central time on April 5. Panel reservation confirmations and QR codes can only be redeemed once, so they can’t be duplicated or shared with others. Once a QR code is scanned upon entry into a stage it is invalidated for entry again. You must enter the e-mail address or confirmation code used to purchase your Star Wars Celebration badge to sign up for a panel lottery, or check the status of a previous lottery entry. You only need to have a valid e-mail address or confirmation code used for your Star Wars Celebration Chicago badge purchase to participate in the panel lottery. You are limited to one entry per valid e-mail address per adult badge purchased for each panel lottery of your choice. For example, if you purchased four badges in your original order you will be able to add three people including yourself to your lottery win. Multiple entries for the same panel with the same e-mail address will be void. 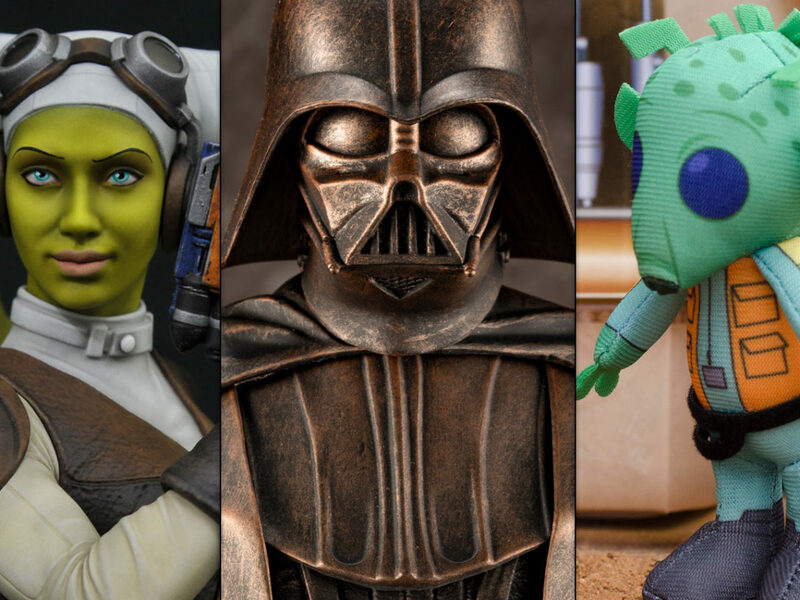 Star Wars Celebration Chicago features some of the top brands from the Star Wars universe selling exclusive items that are not offered anywhere else. Funko, Hasbro and Lego will be utilizing an advance lottery in order to handle the demand and to provide more fans the opportunity to purchase exclusive items from their booth. Fans will be able to enter and manage lotteries for these exhibitor exclusives through the official Star Wars Celebration mobile app (coming soon!) and Celebration website. Exclusive items from Funko, Hasbro and Lego will be announced on Thursday, March 21. The Exhibitor Exclusives Lottery will open on Tuesday, March 26, and end on Tuesday, April 2. Fans must enter the lottery before midnight central time on Tuesday, April 2. When a fan enters the lottery has no impact on their chance of winning a lottery. Fans that have won an exhibitor exclusive lottery will be notified by Thursday, April 4. In addition to the LIGHTSPEED Virtual Panel Reservations, we are also providing fans the ability to use LIGHTSPEED Lane Virtual Queuing to reserve a time to shop in the Celebration Store without the need to stand in line. Fans will use the Star Wars Celebration mobile app to reserve a window of time that they will be allowed to use the LIGHTSPEED Lane entrance to the store. Simply show up at your reserved time and you can go directly into the store to purchase some of the hottest exclusives in the Star Wars Universe. In order to use the LIGHTSPEED Lane Virtual Queuing and make LIGHTSPEED Virtual Panel Reservations you must have a valid badge for Star Wars Celebration Chicago and you must activate your badge at www.starwarscelebration.com/activate. An activated badge is required to claim your panel reservation. After you have activated your badge you will need to download the Star Wars Celebration Mobile App (coming soon!). You can download it at www.swc-mobile.com when it becomes available.